There are many techniques and options to treat teeth that are discolored, chipped, misshapen, or missing. Dr. Cherry at Florence Dental Arts in Florence, SC can reshape your teeth, close spaces, restore worn teeth, or alter the length of your teeth. Common procedures include teeth whitening, bonding, caps, crowns, veneers, and reshaping and contouring. Before any cosmetic procedure, we discuss patient goals and desires. Then we develop a plan of action that will create a unique smile to complement the patient’s overall appearance. We take into consideration many factors, such as facial symmetry, the size of features, and skin tone. Casts made from your dental impressions and wax mock-ups of crowns and veneers enable you to visualize the exciting outcome. Don’t let an imperfect smile get you down; schedule a consultation with us and explore the possibilities of cosmetic dentistry. 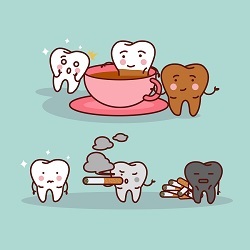 Tooth colored restorations or fillings are also referred to as composites, because they are composed of a complex molecular structure of a resin matrix and fillers. Composites or resins were introduced in the 1960’s, and have undergone continual improvements in durability, color stability, material handling qualities, and esthetic properties. Tooth colored restorations are actually bonded to remaining tooth structure compared to silver/amalgam restorations, which are “locked” into tooth structure. This property of resin restorations makes them a very conservative approach to tooth restoration after caries removal. Our Florence SC dentists can answer the questions you have about the techniques used to improve your smile. For more information on services by a Cosmetic Dentist in the Florence, SC area call Florence Dental Arts today!